This week was interesting for a few reasons. Reading week of course, but for those outside campus, Remy Ma’s “Shether” diss track directed at Nicki Minaj was enough to get most people out of their seat. For those who follow the industry closely, the beef has been in the works for year’s however, due to Ma’s infamous incarceration tensions never broke. 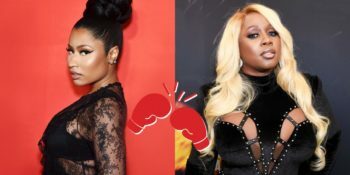 Fresh off a new album with Fat Joe, it seems Remy Ma is now coming for blood and Nicki Minaj seems to be in the crosshairs. Nicki has yet to respond directly but had some choice lines in her two most recent releases which most assume to be directed at Ma. A few other rappers have chimed in, including The Game who has tried dragging Meek Mill back into things. While we’re not exactly sure where this is going, it sure isn’t over yet. Drake recently sat down with DJ Semtex, and discuss details about More Life, Meek Mill, Kanye West and many more. Drake spoke about the More Life process and progression of the album. Drake spoke with Semtex about the demise of relationships he had with Meek and Kanye and how there were o mending of ties. There were no specific dates on when the album will be released. Drake spoke with a lot of enthusiasm about his collaborations with UK artists, and how similar the London culture is similar to the Toronto culture when it comes to the slang and terminologies. There are no exact dates for the release of the album, but as fans eagerly wait there are a lot of anticipation as to it’s now what surprise release. Catch tonight's episode of The Rap Up here with Terrence J Mroz and Garrick Gray! Also, visit www.radiolaurier.com to listen live. Remember to comment, like & share! Tune in every Monday at 8:00pm!